The United States offers the best hiking trails in the world due to the number of national parks and protected areas. Throughout the country you can find a whole host of outdoor activities, and there is something for everybody regardless of physical ability and age. Whether you’re looking for a two hour stroll or something more serious like a 20 day hike on a backcountry trail, you can find something not far from wherever you are. 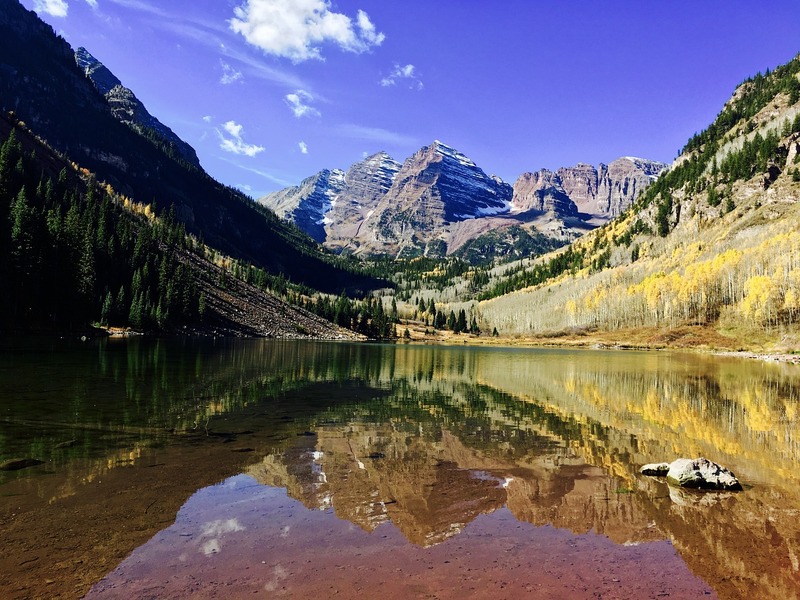 Perhaps you’re someone new to hiking or maybe you’re experienced but want to explore the best the country has to offer, either way, the following list of the most scenic hiking trails on American territory is sure to give you some inspiring ideas. The best time to hike the West Maroon Creek Trail is late July when Colorado’s wildflowers are blooming. Walking through waist-high blooms is a once in a lifetime experience. 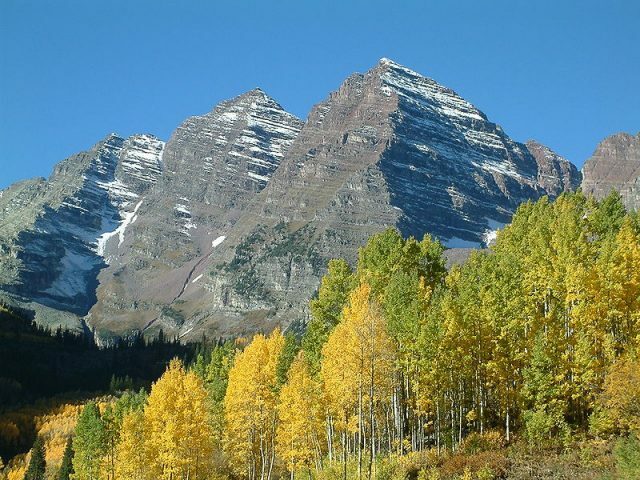 The West Maroon Creek Trail is perhaps the best trail in the Rocky Mountains. This 10 mile hike takes you through a glacier valley before heading up to the 12,480 ft Maroon Pass. The jaw dropping views are what make this trail one of America’s best. The trail is challenging due to the terrain and altitude, so be sure that to have all the necessary gear and do some training before you head out on to it. 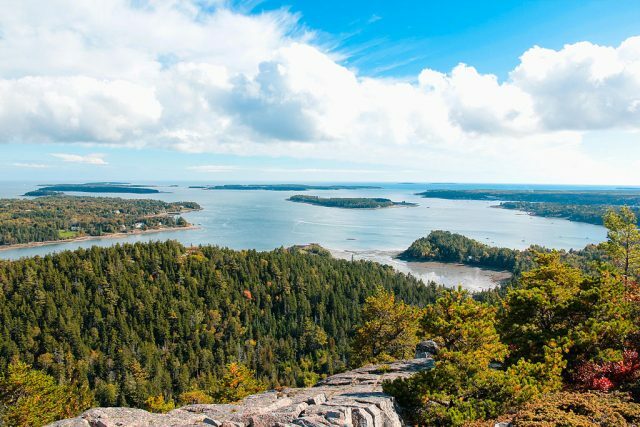 The steep trail climbs on the east side of Champlain Mountain are something you must experience for yourself. The views of the ocean from the high mountains are just spectacular, and to comprehend this stunning beauty you need to see it firsthand. If you decide to hike this trail, think about going with someone more experienced than yourself as the terrain is steep and you may need help along certain parts of the route. This trail is not recommended for people afraid of heights. The 2.4 mile long hike through Zion National Park’s main red rock canyon that ends at the top of Angel’s Landing is a perfect trail for the hikers who want to experience 360 degree views of the West. 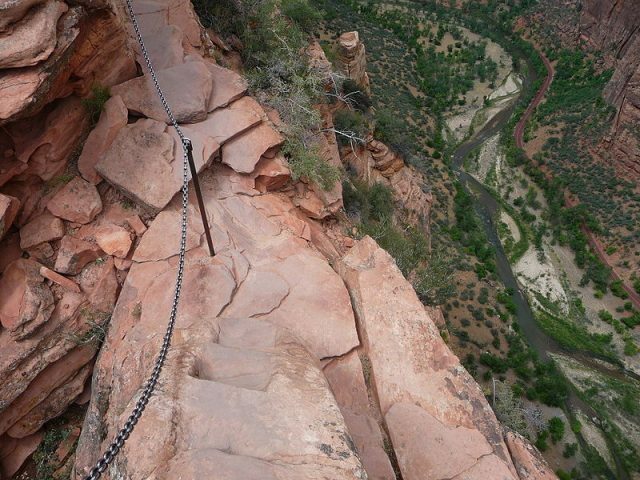 Angel’s Landing is a 1488 ft high rock formation that makes all the effort worthwhile. The trail gets very narrow in the second half. In fact, so narrow the National Park Service installed chains for added safety. For many this is what makes this beautiful trail even more appealing. Angel’s Landing is itself 1488 ft up, but remember that you’re at a high elevation before you even begin the climb to the top. Bring lots of water! The three mile trail to Mooney Falls starts in the village of Supai in the Hualapai Indian Reservation, located in a corner of the Grand Canyon. The trail goes through two travertine tunnels, down iron ladders, and views of the 200 ft tall Mooney Falls are to be found all the way. At the end, you get a gift from Mother Nature, an aquamarine pool shimmering against red rock canyon walls where you can almost believe you’re part of another world. 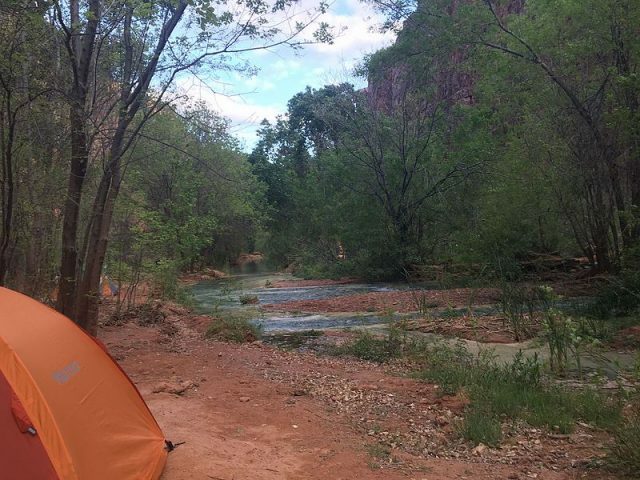 About 2 miles from Supai there is a campground where you can spend a few days and explore all the waterfalls in the area: Navajo Falls (1.5 miles from Supai), Havasu Falls (2 miles), Mooney Falls (3 miles), and Beaver Falls (5.5 miles). 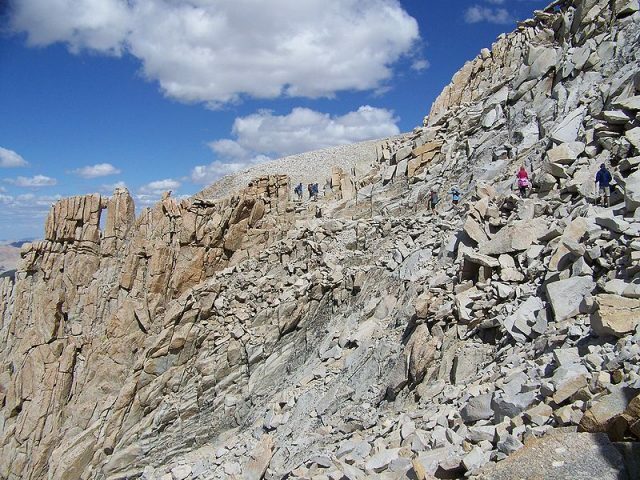 The John Muir trail is a 211 miles long hiking route that starts in Yosemite Valley, then makes its way through the Ansel Adams Wildernesses, Devil’s Postpile National Monument, Kings Canyon and Sequoia National Parks and ends at Mount Whitney. If you don’t fancy the idea of walking the 211 miles, you can always choose a park you want to visit and just do that part of the trail. Mount Whitney is the highest peak along on the trail at 14,497 ft.
John Muir Trail almost never dips under 8000 ft so if you’re not good with altitudes, this trail is probably not for you. Good luck!